After Carlil Pittman, 25, was expelled as a high school sophomore nearly a decade ago, he helped lobby for changes to school discipline law that have yet to be fully implemented. Four years ago, Illinois passed the first in a series of discipline reforms meant to reduce student suspensions and expulsions from public schools. The law tasks state officials with two responsibilities: Make school discipline data available to the public, and require districts with the consistently highest suspension and expulsion rates to improve. At the time, there was national momentum to address discipline disparities, especially for black students, who are suspended and expelled from school far more often than their white classmates. In 2014, the Obama administration issued guidance to reduce discipline that removes students from class and interrupts their learning. Advocates and lawmakers knew Illinois needed to make drastic changes after a 2012 report by The Civil Rights Project at UCLA found the state’s suspension rate for black students was the highest in the nation. But the 2014 law hasn’t had the outcomes legislators intended. The Illinois State Board of Education redacts the race and ethnicity of nearly all students who’ve been suspended or expelled, so parents and school communities can’t see what’s happening in their local districts. On top of that, the state board hasn’t required districts with the consistently highest suspension and expulsion rates to make any changes. Parents, legislators and community advocates say they’re frustrated by the lack of transparency and accountability. State. Sen. Kimberly Lightford, who championed several school discipline reforms, including the 2014 law, has been meeting with state education officials to discuss the problems for months. “It’s frustrating that you work hard to try to get something done and when it actually becomes law, the law isn’t implemented the way it should be,” she said in an April interview. Lightford, who represents much of Chicago’s Austin neighborhood and parts of the western suburbs, introduced a new bill this spring that would improve discipline data transparency. Facing opposition from the state and school administrator groups, that bill did not make it out of committee. Lightford also sponsored other legislation now on the governor’s desk that clarifies the state’s intervention responsibilities. Advocates say some of the reforms are working as intended. Suspensions and expulsions have fallen dramatically across all racial and ethnic groups in recent years, especially since the state ended strict “zero tolerance” policies and limited suspensions and expulsions in 2016. From the 2015 to 2017 school year, districts suspended 26,000 fewer students from school, according to the latest data available. That represented about a one-third drop. Schools expelled 540 fewer students, cutting the number in half. Advocates like 25-year-old Carlil Pittman say the overall decline in suspensions and expulsions is encouraging, but the persistent disparities show there is more work to do. 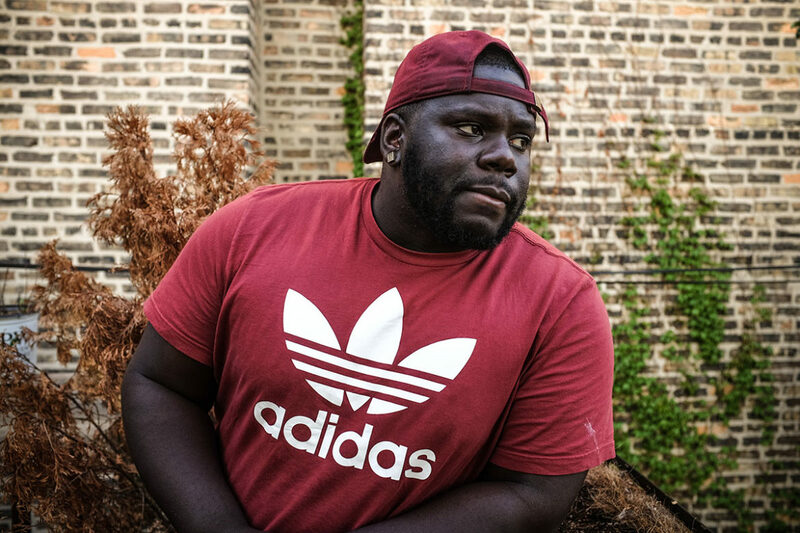 Pittman started pushing for reforms after he was expelled nearly a decade ago as a sophomore from Kelly High School in Chicago’s Brighton Park neighborhood. “We can’t 100 percent end disparities,” said Pittman, an organizer with Voices of Youth in Chicago Education, which has successfully lobbied for several changes to school discipline laws. “But being able to make a huge impact on the overall [suspension and expulsion numbers] and push them in the right direction” puts the state on a path toward closing the gaps. Illinois mirrors what’s happening nationally. A recent U.S. Government Accountability Office report found that while the number of students suspended and expelled across the country is falling, black students, especially boys, are still suspended and expelled at much higher rates. Under the 2014 law, the state must identify districts with the highest suspension and expulsion rates and the worst racial and ethnic disparities each year. If districts are flagged for any of these reasons for three years in a row, they have to write an improvement plan. Last school year, state officials were supposed to require districts that had been flagged three times to start making discipline changes. But they put off that responsibility. The state didn’t notify districts that were flagged for 2015, 2016 and 2017 until the end of last month. Critics say waiting to tell districts where they stood prevented some schools from making improvements sooner. The state says it will publish “official” lists of districts that have to make improvements this fall, using 2016, 2017 and 2018 discipline data. After that, districts will get 90 days to write their plans. A total of 83 districts were flagged during the 2015, 2016 and 2017 school years for high suspension rates, high expulsion rates or suspending and expelling students of color more often than white students. Fifty-nine districts were flagged for having high suspension rates for three straight years. According to a Reporter analysis, these districts suspended over 9 percent of their K-12 students last year — a rate four times higher than the rest of the state. These districts also disproportionately enrolled mostly black students. Only one district, Danville School District 118, was flagged for having a high expulsion rate for three straight years. Twenty-six districts, including Chicago Public Schools, were flagged for disciplining students of color more often than white students for three straight years. Researchers caution that districts self-report their discipline data and may feel pressure to under-report suspensions and expulsions to avoid ending up on these lists. Click here to see whether your district was flagged for its suspension or expulsion rate. To the state, “these lists are not about highlighting bad actors,” but rather identifying districts that need more support, Illinois State Board of Education spokeswoman Jackie Matthews said. In the fall, state officials will tell districts what needs to go in their improvement plans, but it remains unclear how the state will evaluate and monitor them. The state will also connect these districts to others that successfully reduced their suspension and expulsion rates so they can get advice. If districts fail to improve, they have to make annual progress reports to the state, but there are no other consequences. State officials rarely punish districts by withholding funds. They say even if they wanted to, there’s no money tied to school discipline to take away. Some advocates say they were willing to delay holding districts accountable because the legislation awaiting the governor’s signature also created a grant program that could give districts money to work on their discipline problems. But right now, the grant program has no money allocated to it. Lightford’s office hopes to get state money set aside for the grants by the 2019-2020 school year. The state flagged 59 districts, including J.S. 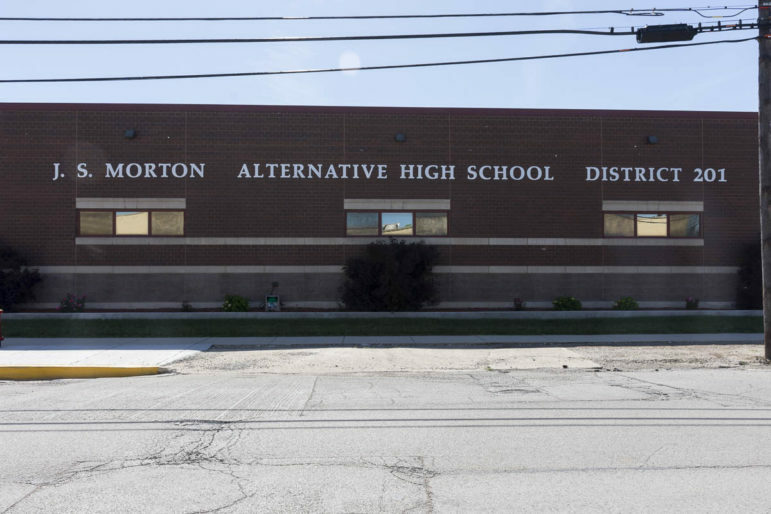 Morton High School District 201 in Cicero, for having high suspension rates three years in a row. Last year, the district suspended students at a rate more than two and a half times the state’s average. Many of the districts that were flagged by the state pointed to their successes in reducing suspensions and expulsions as evidence they are on the right track. Data show suspensions dropped by a third in districts that were flagged for high suspension rates three years in a row. But because these districts started off with higher suspension rates and the rest of the state saw similar declines during that time, they didn’t catch up. Over the past several weeks, The Reporter interviewed officials from eight school districts that were flagged for their high or disproportionate suspension and expulsion rates. All of these administrators said they’d already taken steps to improve. Many revamped their in-school suspension rooms to add more tutoring supports or designated “safe” rooms where students can go to calm down. Some districts added rewards for good behavior and attendance, like exemptions from final exams or permission to leave school grounds for lunch. Adding and training staff was a common approach. Districts brought in experts to help staff better understand the effects of trauma on students and to develop more awareness of students’ cultural differences. They also focused on how personal biases — conscious or not — can lead staff to treat students differently at school. Many hired social workers, school psychologists and behavior interventionists. Others appointed an administrator to oversee students’ social and emotional needs. In Freeport School District 145, not far from the Wisconsin border, Superintendent Mike Schiffman said he’d been taking a different approach to discipline since he and several other administrators started working for the district three years ago. He hired deans to focus on discipline, more full-time social workers and new behavior specialists who work with teachers in elementary school classrooms. To pay for the added staff, district officials used some of the additional money they recently received after the state overhauled its school funding formula, and made cuts to supplies, trips and other personnel. And while Freeport is suspending fewer students — about 9 percent of K-12 students were suspended last year compared to about 14 percent of students two years earlier — the district still has one of the highest suspension rates in the state. Schiffman says it’s difficult to improve the behavior of older students and it takes time for changes to take root in younger ones. If signed into law and funded, the state’s new grant program would allow districts flagged for their suspension and expulsion rates to apply for money to hire additional staff. Most districts interviewed by The Reporter said they needed more staff to help traumatized students and others with mental health needs, but had trouble affording or finding them. Matt Vosberg, the deputy superintendent of Rockford Public Schools, said the district has added three social workers since he started seven years ago, but it’s a drop in the bucket. “We probably need at least 20 more,” he said. Rockford has had one of the state’s highest suspension rates in recent years. Last year, the district suspended more than one in 10 students in kindergarten to 12th grade. Vosberg said it’s possible districts like his have higher suspension rates because the students deal with greater challenges. Rockford has a high percentage of students who change schools — twice the state’s average — and a higher-than-average percentage of children living in poverty. “Obviously, suspensions are just a symptom of other issues,” Vosberg said. Districts that were flagged by the state for their suspension and expulsion rates say they’ve had frank conversations with students and staff about the role race plays in discipline. And they are having in-person conversations with students and their families to better understand why kids act out. This approach, part of a movement toward “restorative practices,” is being used in districts across Illinois. While difficult, it’s proven effective in other parts of the country. Chicago Public Schools has long suspended and expelled African-American boys at rates much higher than their classmates. To address those inequities, district officials say they’ve paid to train entire school staffs in trauma and relationship-building strategies. They say they’ve also sent specialists and restorative practice coaches to schools with the highest discipline rates. “CPS is committed to a restorative approach to discipline focused on social-emotional learning to address underlying issues, teach students conflict resolution, and keep students in school where they belong,” district spokeswoman Emily Bolton said in a written statement. To improve discipline rates, the district’s superintendent, Alicia Geddis, started meeting with all students returning to school after they’d been expelled or sent to juvenile detention about three years ago. Those conversations led her to realize that students needed counseling that went beyond what the district was offering. This past fall, Geddis asked a nonprofit agency to move into a building that used to house Danville administrators. Now, the nonprofit provides mental health services to some 80 students. Geddis also hired counselors to make home visits. Belleville Township School District 201, just across the river from St. Louis, is one of seven districts that the state flagged for both having a high suspension rate and disciplining students of color more often than white students. Superintendent Jeff Dosier said it’s important “to acknowledge that those gaps are there.” He said his staff is focusing intently on developing closer relationships with students so they feel comfortable telling adults what’s affecting their behavior at school. Having tough conversations has also played a role in reforming school discipline at Community High School District 99 in Downers Grove. The state flagged the district for its suspension and expulsion disparities three years in a row. Data provided by the district to the Reporter show the district suspends fewer than 160 students — a rate close to the state’s average — but last year, black students were seven times more likely to be suspended than white students. To address those gaps, this year educators looked at more serious behaviors that triggered suspensions, like fighting, to see if they had resulted in the same punishment regardless of student race or gender. According to their analysis, teachers were fair. This summer a team will examine less severe offenses, like cursing, that can accumulate and lead to a suspension. They’ll pull individual student records and evaluate each referral. Critics say more than 26 districts should have been flagged for their racial disparities in suspensions and expulsions, but the law is written in a way that allows some districts to escape oversight. The state has to compare how often white students are suspended and expelled to how often non-white students are suspended and expelled — as one group. If a district enrolls many students from minority groups with lower discipline rates, it can mask higher rates for black and Hispanic students. Several administrators of districts flagged by the state said they’d run into roadblocks while trying to reduce their suspension and expulsion rates. They echoed the findings of a March report from Teach Plus, an education advocacy group. The group surveyed about 400 teachers across Illinois. Just under half of teachers felt ending zero-tolerance policies and limiting suspensions and expulsions had made the climate inside schools worse over the last two years. Teachers reported feeling unsupported and said administrators had too few disciplinary alternatives. In East Peoria Community High School District 309, Superintendent Marjorie Greuter said her teachers feel like they’ve lost incentives that used to keep students from misbehaving. In 2017, the district had the state’s ninth-highest suspension rate. Jason Wind, who’s worked in Springfield Public Schools for 25 years, said it was hard for some staff to see behaviors that used to get students suspended or sent to an alternative school no longer merited those punishments. Now, Wind said, the district does more of its interventions at school, such as assigning students a mentor. 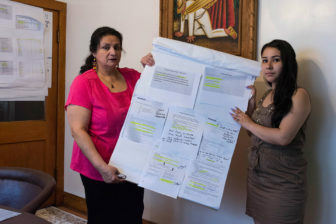 This story has been updated to clarify The Chicago Reporter verbally requested the Illinois State Board of Education provide the lists of districts flagged for disciplinary practices. ISBE required a written Freedom of Information request to provide those records.